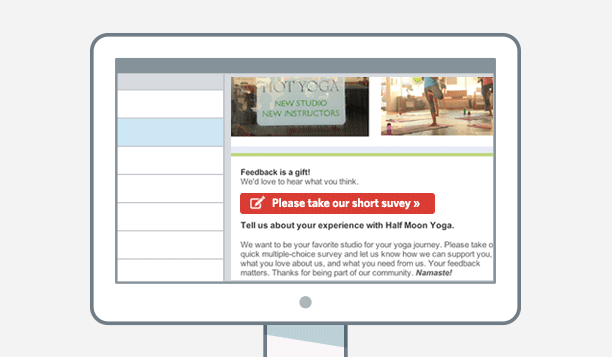 Get instant feedback from your contacts with easy-to-use online survey tools. Create custom surveys and polls. Start with our pre-written questions and tweak them, or craft your own. Choose from seven survey question types—from multiple choice to open-ended questions to sliding scales. Add your logo and colors to make your survey look like your business. 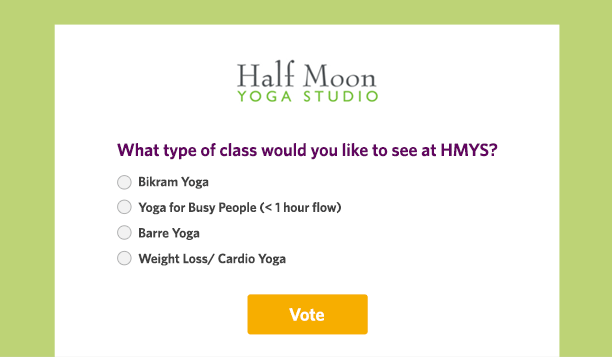 Embed your survey in an email or post them to your Facebook page or website. Track your survey responses and results in real time. 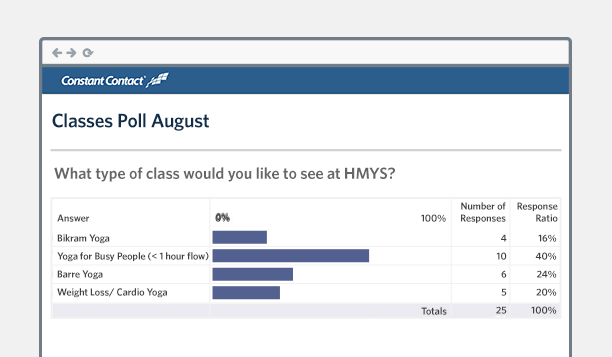 View individual results from respondents, or track general data trends from your social media or email survey. With our user-friendly online polling tools, you'll get real-time insight into customer feedback so you can plan what to do next and increase customer satisfaction.